Disclosure: This post contains affiliate links, which means I receive a small commission if you make a purchase using the links above. At the Matthew's household we love our books. Well Hannelore and I do. Ryan likes to read, but not books. He is more of a news reader. Every night I read a bedtime story to Hannelore (and Ryan does on my "nights off", see post here about nights off). I love this part of our bedtime routine. It is such a bonding time for the two of us. During the almost two and a half years that we have been doing this we have found some favorites. This list keeps growing so I might have to do many posts for this topic. I am going to put them in different categories for easy reference. 1. Brown Bear, Brown Bear, What Do You See? Honestly, I think Hannelore loves this for all the colors and the repetition. Kids love repetition so I think it pulls her in because of that, but she sure loves her colors too! This one is so simple, but Hannelore loves it. She is quite obsessed with the moon so this book is perfect. She loves it. I used to love this book when I was a kid, but now that I am a mom it brings on a whole new meaning. I cry almost every time I read it. You think I would I would stop crying, but I don't. Hannah loves it too. This book can go in Mom's favorites too. We have 12 of these books and I cannot get enough of them. I LOVE every single one of them. I would have to say that this is probably Hannelore's favorite of all of them though. It might be Alice in Wonderland though...again with the colors. We have a bunch of Dr. Seuss books, but I would have to say this one is her favorite. She loves to "read" it with us. Honestly, she loves all Dr. Seuss books though. Click to find out what books were on my daughter's favorite list and what books were on my list. Children's books are a hit over here too! Having four children of my own, and then them giving me a total of ten grandchildren and one recently born who is almost four months old in ten days, and having one great grandchild on the way you can see why we love books here too. Dr. Seus is our favorite here too. Thanks for sharing. The book - I'll Love You Forever...will always be a classic in our house. Thanks for sharing this great collection. Can't go wrong with Dr. Seuss the man was a genius when he wrote those books. 2, 3 and 5 of the classics were my favorites as a kid! Especially Green Eggs and Ham- what kid doesn't love a book with their name in it? My son always loved the Dr. Seuss books, we still have all of them. You have a great collection of books. We love all the Dr. Suess books and like you I have "nights off" as well twice a week. I like that both my husband and I take turns reading to our boys. I love sharing books with my grandchildren. You mention a couple that I don't know so I will have to see if I can find them. Dr. Suess books are always my favorite though. Goodnight Moon. Now that brings back memories. I used to read this to my nephew every night before bed. He loved it. We're enjoying Brown Bear right now...such cute drawings! Good Night Moon is one of my daughter's favorite books and as a child, I love Love you forever and read it to my own kids now. This is a great book list! Maybe its me but I find it really hard to read the words that have a hyperlink attached. That light grey is a bit hard to see. Just a suggestion. Cute post though. Good night moon is my favourite child's book. Kids can really learn a lot from this books. I'll try to look for some for my nephews. These look like great books for the kids. Also- that crayons one is the best thing. I just love it! Your lists of books is a great reference for parents who would like to try buying children's books from Amazon. Do you also have a collection of hardbound ones? I see a few of my favorites in your list. I adore the book Love You Forever but it always makes me cry. dr suess and the bear book looks very familiar to me! my daughter got tons of dr suess books and with those bears too great list! Yes, I still have Good Night Moon. It was all time favorite in this household. I can't wait to past these down to my grandchildren. Thanks for bringing back memories of my favorite books. I used to read to my kids when they were little and remember some of these books. Picture books are great for the little ones. Thanks for sharing. Congrats on all the grandchildren and one on the way! So exciting! Dr. Seuss is amazing! I'll Love You Forever is such an amazing book. Thanks for stopping by! I completely agree. Thanks for stopping by! Thank you and thanks for stopping by! "Nights off" are so good for the soul! I think it is important to take turns bonding with the kids! I agree so very sweet! Thanks for stopping by. I agree Dr. Seuss is the best! I have links to Amazon on there too so you can see them. The covers sold me on some of them. I know...I know... your not supposed to judge a book by the cover. It's an awesome book, huh? I agree. That book is so wonderful! I need to check out that book. We always like new recommendations. Thanks for sharing! Thanks and thank you for stopping by! Thanks for the suggestion. I will look into fixing that! Good Night Moon is such a fun book. I agree. These books are great learning material too for the little minds. Thanks and thanks for stopping by! I LOVE The Day the Crayons Quit. It is so so cute! Books are always an awesome birthday present! I do not yet. Some of them are hardbound and some are board books too. I will look into doing one for just hardbound. Thanks for the suggestion! It makes me cry almost every time too. No shame. I love when my mom passed some down to me! I am going to do another post like this one and it will have some that she passed down to me! While technology has brought so much good for all of us, even kids .... I really like it when I hear of parents who still use real books to educate and entertain their children. It's healthy practice if you ask me. Children's books are cute! I love the colors and the numbers with animals. I wish teaching my 5 year old son those. Those are all great books! My kids favorite out of all of them is Brown Bear, Brown Bear, What Do You See? I was just looking at picture books in a store today! 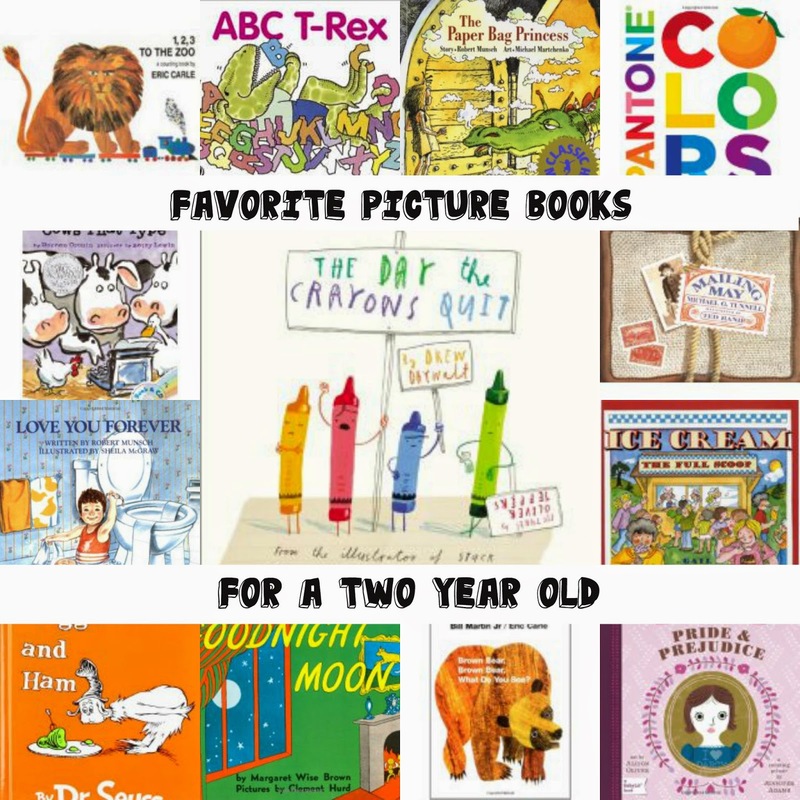 My favorite is the very hungry caterpillar and if you give a mouse a cookie! I'll have to buy some of these books for my niece! Thanks for the suggestions! I completely agree. Although I love my Kindle (it took me awhile before I would break down and buy one), there is NOTHING better than sitting down to an old fashioned book. The smell and feel of them can never be replaced! Such a good book. I am sure he loves you for it! I have read that, but I haven't to my daughter. I will put that on my list! Thanks for reminding me about it! I agree. Nothing beats children's books. They are so fun! It is a great book. That is a good choice! Hahaha. I love that. I'm sure you are wonderful at singing. That is too cute! OH MY HEAVENS! The Very Hungry Caterpillar should be on there. My daughter LOVES it. Like I said I am going to do another post like this and that one will be on there. We both like If You Give A Mouse A Cookie too! Your welcome! Thanks for stopping by! . Follow Shambray Matthews's board Best of Shambray on Pinterest.